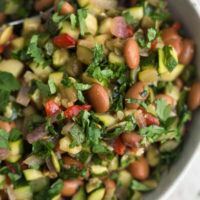 Cumin Zucchini Salad with Pinto Beans | Naturally.Cumin Zucchini Salad with Pinto Beans | Naturally. A perfect summer salad featuring cumin roasted zucchini tossed with pinto beans. Preheat oven to 400˚ F. Cut zucchini into 1/4″ cubes and place on a sheet tray covered with parchment paper. Add onions and drizzle with olive oil, cumin, and salt. Toss until everything is well combined. Roast for 25 minutes or until the zucchini and onion start to brown. In a bowl, combine pinto beans, red pepper, cilantro, and pepitas. Once the zucchini is done, add to the bowl and toss to combine. Squeeze lime juice over the top, taste, and add salt as needed. Tips & Tricks: While it’s not necessary, I recommend salting the zucchini (like this method) before cubing and roasting. It helps draw out the moisture and leaves the zucchini less soggy. 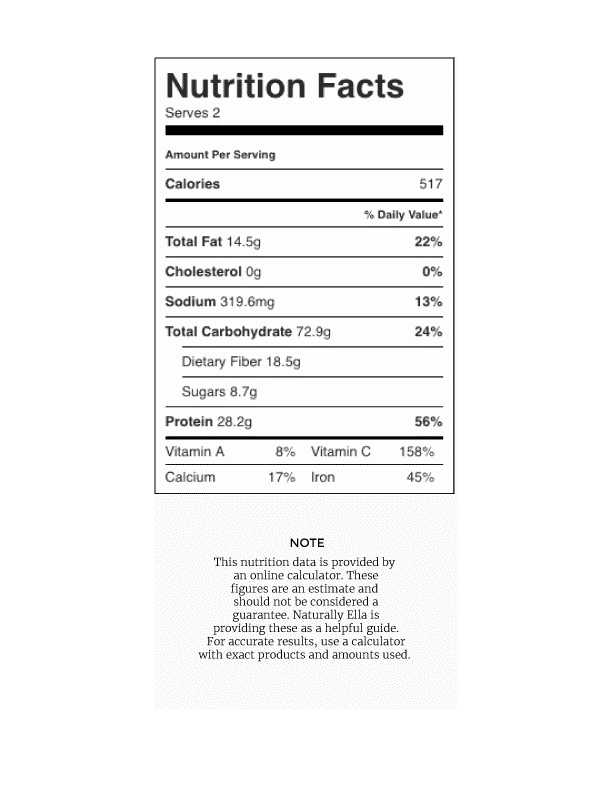 I love the flavor of the roasted red peppers but if you’re a texture person, I would recommend using raw red peppers in place of the roasted to add a bit more crunch to the salad.